This truck belongs to a buddy of mine. And this pic does it no justice. The paint receives awards at many shows. HAHA! Thanks! Use it all you want! LOL. 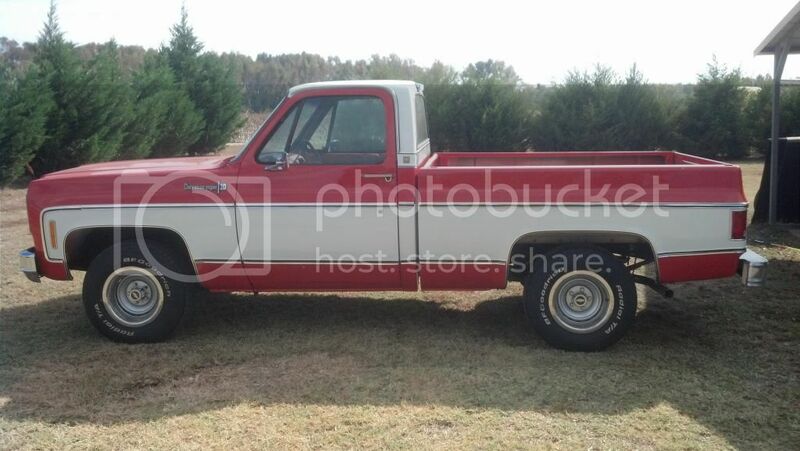 It needs New fuel lines and cab mounts and new front leaf springs and I figured while I am at it I will just do the whole truck since it will be easier to do that stuff with the body off and if the body is off well then you know where that goes next. LOL. I bought the truck when I was 16 and me and my dad re-painted it and did a ton of work on it so most of it is done and just needs cleaned up and painted. the body lift will be coming off and a new 4" lift will be going on and still ride on the 35's. I absolutely HATE the body lift! I am waiting for us to put a new building up at our shop so I have room to work on it. 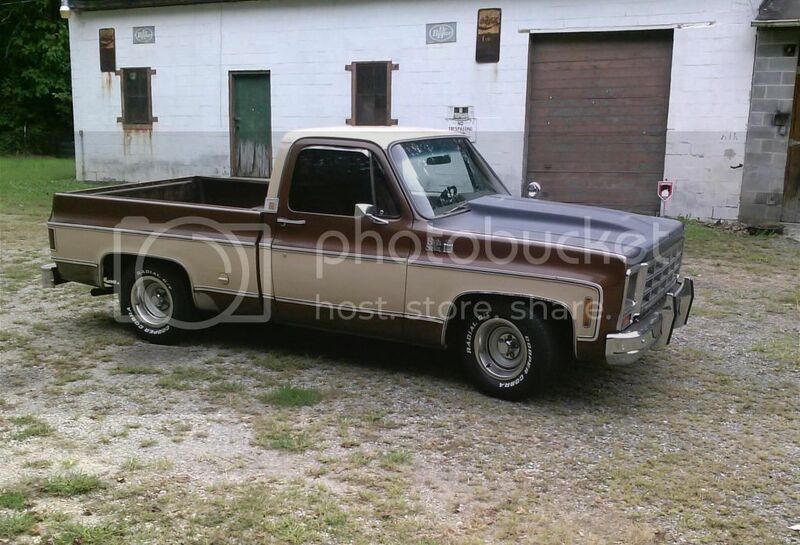 I will have my own garage just for storing this truck and whatever classic cars and truck I happen to get in the future. I will also have my own spot to work on my vehicles outside of the "museum" lol so no dust or dirt gets in the "museum". The "museum" will also be heated and have a de-humidifier. My uncle will get his own "museum" and work area on the other side of the building for his stuff and then there will be an office in that building for our steel fab shop as well. It is going to be an AWESOME building and I can't wait to get it done. We are going to start on it this winter and hopefully have it done by next spring. I can't wait for it!!! 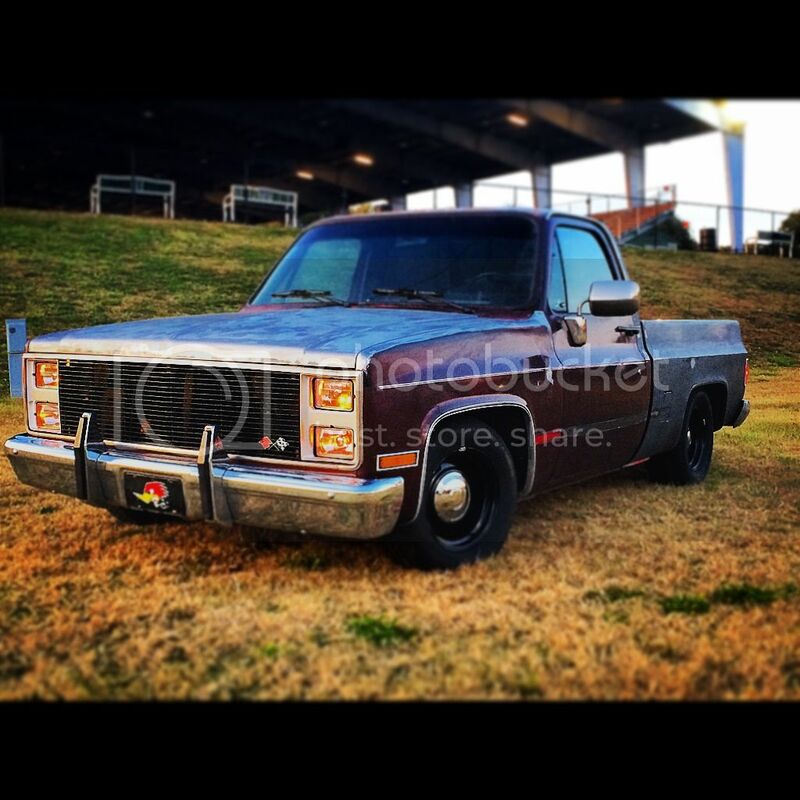 Change the front clip to dual headlight or suburban, replace body moulding, and a fresh coat of paint. I'll be happy with that, everything else can be done slowly. The major problem is I can't get the 305 in it working right. I have a 4.5/6 drop, Dakota digital gauges, energy bushings, and a 6.0L with all the stuff needed for the swap in the garage. 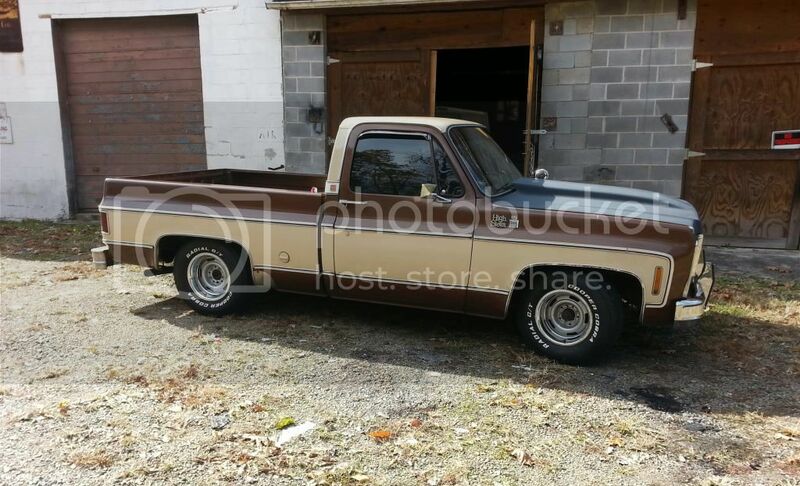 They are supposed to be for my 78 stepside, but I have been throwing around the idea of putting it into this one to make it a fun daily and allow me to go wild on the 78. I'm just thinking out loud now. 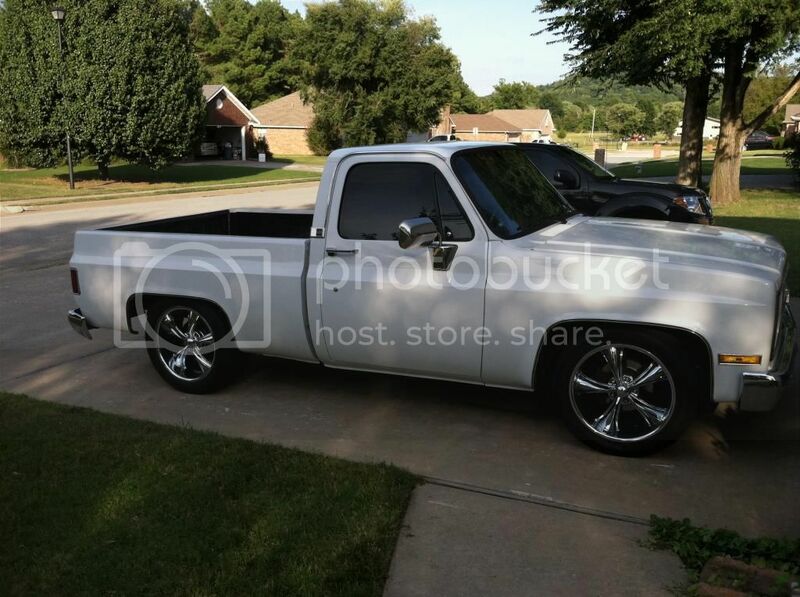 Sounds awesome dude, and I didn't even notice it was a body lift from the pic, but hell yeah get rid of it lol! You got a jewel though bro. I'm also thinking about getting a garage some years down the line (if i end up making good money lol..). 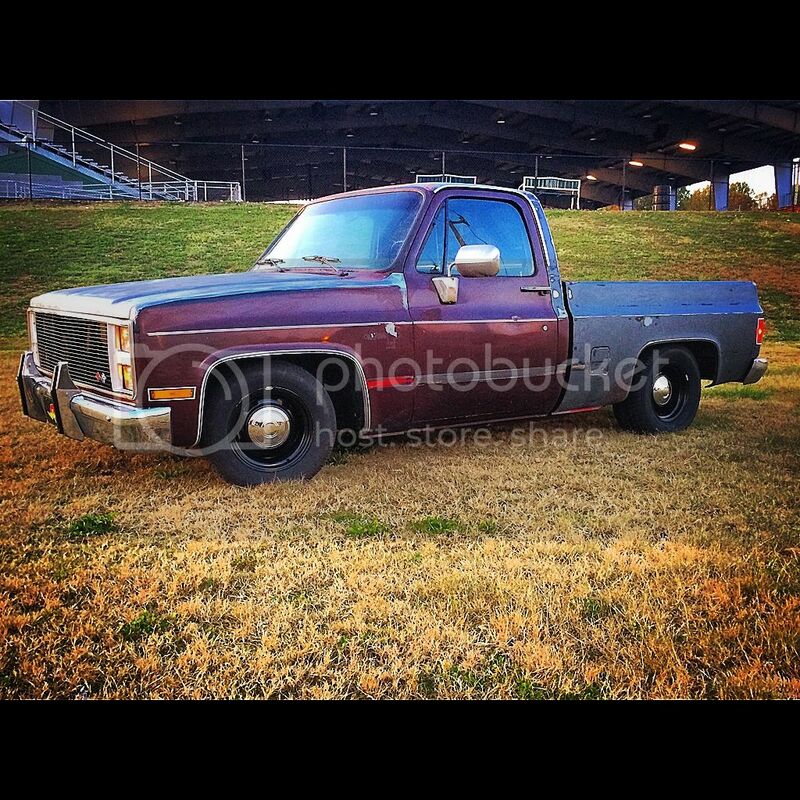 I'm gonna keep my '94 Z71 and thinking about adding an 83-87 K10 and a newer 4 door chevy.. too bad it's expensive as hell! new to posting pics, but been here a long time. this is my rig old Charlie Brown. 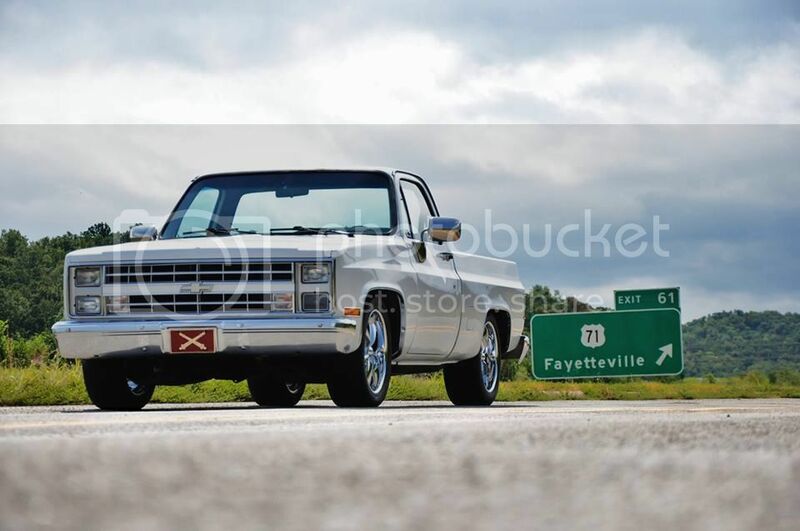 1979 Cheyenne with a 4 speed. done a lot of work this past summer with more pics to come. Now that's a great looking truck! nice ! what size wheel & tire r u running ? do u have a side pic ? I like those vette rallys, I still have my stock rallys. I plan to change them out from time to time. ciean ! what size wheel & tire ? Been working on this 1974 Cheyenne Super since 2011. Almost there, just interior to go.. Thank you for the compliment. I am trying to stay as original as possible.